We offer quality walking and trekking holidays in Nepal. Join a small guided group chose from verities of trip departure dates and enjoy easy or moderate or challenging trekking in Nepal with our guide. Our aim is to give you as wide a choice of trekking holidays as much as possible different lengths of classic and off the beaten path treks. 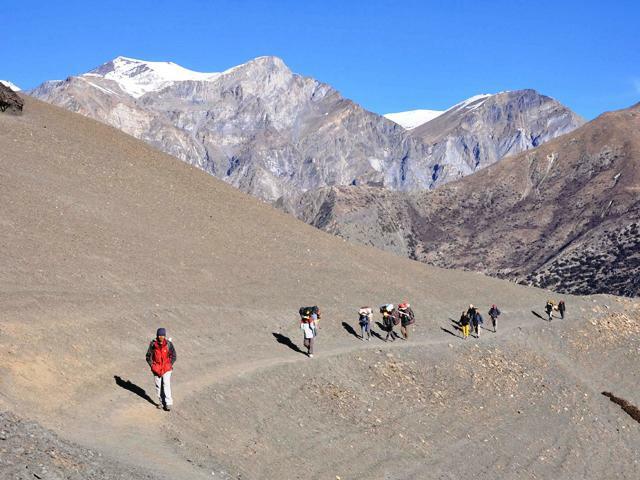 Are you looking for joining a small guided group trekking in Nepal? Walking becomes trekking when you go up to 3000m and spent more than a week to reach the viewpoint or base of any mountain in Nepal. We offer verities of trip departure dates for connecting with like-minded trekkers and local guides for your big adventure in the Himalayas. Our trekking trip covers some of the most famous routes and off the beaten path treks in the Himalayas of Nepal. Just do a bit of pre-training at home and you could be accompanied by an experienced local guide during the trekking days. In case you do not like group joining offered, most of our trekking holidays can be organized as a privately guided departure for couples or group of friends who prefer a more flexible option and enjoy unique experiences during the trekking days. A day or couple of day’s hill walking in Nepal is also popular activities. There are four major hills around Kathmandu valley rim which are just below 3000m and can see countryside to the Himalayas from a top. Chisapani to Nagarkot and Dhulikhel to Namo Buddha are popular a day walk. There are historical and cultural monuments in Katmandu which easily access by walking. Pokhara is the second major city in the Middle West of Nepal. There are popular hill stations for walking such as World Peace Stupa, Sarangko, Panchase, and Australian Camp. You can easily see the Annapurna massif when you are walking around Pokhara.